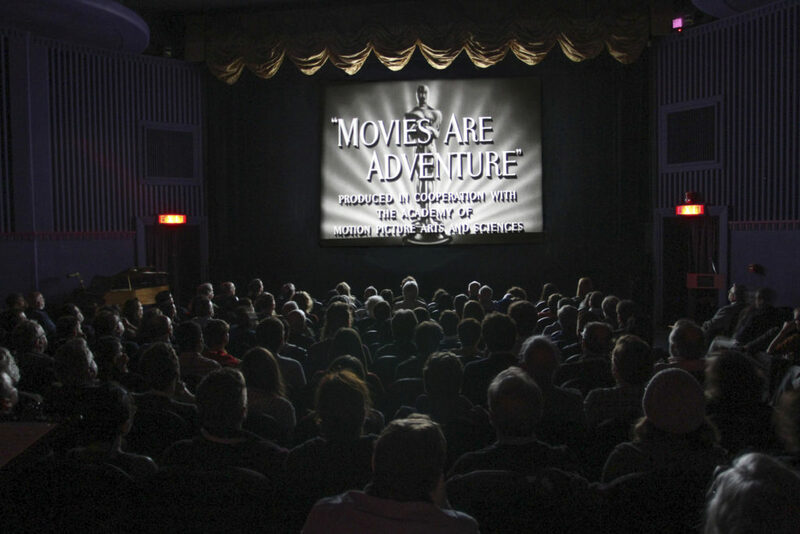 The Nitrate Picture Show, now approaching its fifth year (May 3–5, 2019), is an annual film series hosted at the George Eastman Museum in Rochester, NY, home of Genessee Beer, the garbage plate, and the Eastman Kodak Film Company. 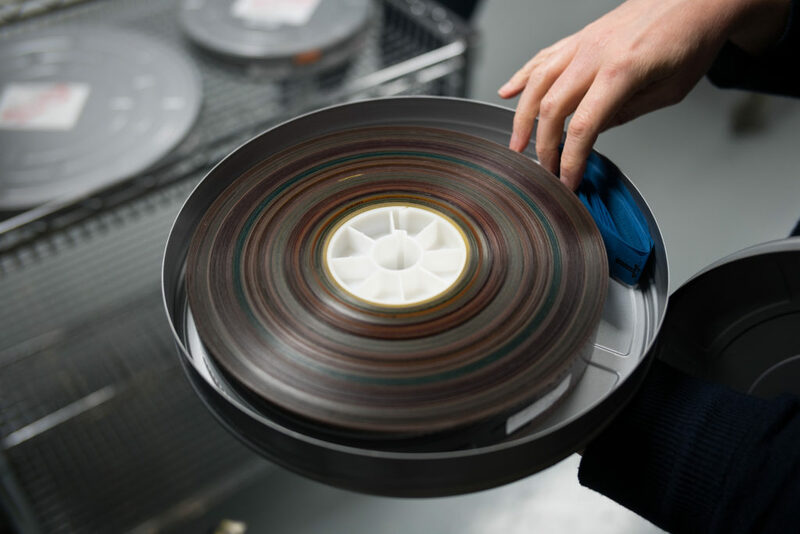 Nitrate prints from international archives are loaned to the Museum and screened at its historic Dryden Theatre, one of only a few places left in the world where nitrate film can be legally projected due to its inherent safety risks. Also called “gun cotton,” nitrate is extremely flammable and can self-combust if not stored at controlled temperatures. 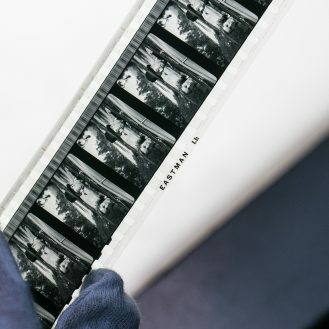 The Museum’s secluded vault dedicated to conserving its own extensive collection of nitrate negatives and prints is located well outside Rochester’s city limits for this very reason, and is kept at a constant temperature of forty degrees fahrenheit. Like Telluride (co-founded by James Card, the pioneer of film preservation, who established the collection at the George Eastman House), each year’s selection of films is kept secret until the Picture Show’s opening day press release. Acetate, or safety stock, came into popular use in 1951, so just about every film made before then is fair game. While the main draw of the festival is the rare opportunity to engage with the medium, the curation is sophisticated, neither a hodgepodge of whatever prints are easiest to source, nor a safe selection of classics. Last year included such surprises as a delightful musical comedy from the Soviet Union, Moscow Laughs (1934), and the atmospheric Mist on the Moors (1943) from Czechoslovakia, starring a young Rudolf Hrusínský, almost unrecognizable from his later self with combover in The Cremator (1969). Less obscure, but equally new to me, were The Razor’s Edge (1946), a powerful adaptation from the novel by Somerset Maugham, and a beautiful, sepia-tinted print of Holiday (1938) starring Cary Grant and Katherine Hepburn. These films, like Moscow Laughs, were moral tales of young idealists whose outsider status in bourgeois society places them at odds with their supposed soulmates, setting them off in search of self-discovery and true love. 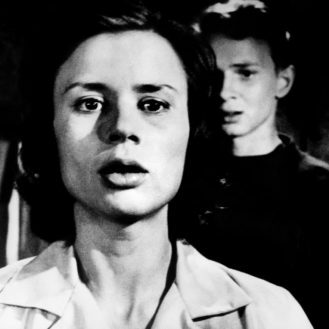 In honor of Ingmar Bergman’s 2018 centennial, a Finnish print of Summer Interlude (1951) was screened. A film involving doomed young lovers set in the world of ballet, it paired well with Powell-Pressburger’s The Red Shoes (1948), also celebrating an anniversary last year, its seventieth. Two of the films in the 2018 program I had only seen before on VHS: Laurence Olivier’s Hamlet (1948), actually screened one night in advance of the Picture Show as a teaser, and Winchester ’73 (1950). Here, nitrate was an obvious improvement by comparison, yet the difference between nitrate and acetate film was less readily apparent. The Red Shoes I’ve seen in various formats, including its excellent 2009 4K digital restoration (the version available on DVD and Blu-Ray from The Criterion Collection) and a Technicolor print screened at MoMA in 2015. The print shown in Rochester was actually a Frankensteined assembly, put together using two reels from a copy owned by Martin Scorsese and the rest from the Museum’s own. In this screening, the look of nitrate was most visible in its signs of decay. The colors were faded and there was noticeable fringing from the shrinkage and warpage of the reels, symptoms of decomposition which acetate is better able to resist. But the purpose of the Picture Show is not to screen the most beautiful version of a movie, it is to showcase nitrate, the material on which the first sixty or so years of cinema was captured, and to advocate for its preservation. Other prints held up remarkably well: the contrast and sharpness in the black and white cinematography of Cry of the City (1948), a film noir, was particularly striking. And the color animation of Len Lye’s Trade Tattoo (1937) was so vibrant and dazzling I wished I could wear it. The oldest film in the program was the well-preserved, Our Navy, a short documentary from 1918, shot towards the end of the First World War. It opens with a magnificent bird’s eye view of an American battleship passing beneath the camera, an image that looks as if it could just as well have been captured by the eye of a drone one hundred years later. Also in the shorts program was Father Hubbard’s Movietone Adventures: Lost Lake (1944), in which an Alaskan glaciar is photographed in a beautiful, if faded Cinecolor. There was a sad poetry in seeing this decaying representation of an endangered environment. One film remained unannounced until its title card appeared on screen, the last of the festival, a slot billed as “A Blind Date with Nitrate.” This was Man of Aran (1934), by Robert J. Flaherty, who had a near death experience at the hands of nitrate when an early version of what would later become Nanook of the North caught fire. Flaherty’s work, and Man of Aran in particular, is often criticized as being more fiction than documentary: the family it follows was cast (the husband and wife unmarried, their child someone else’s) and the shark hunting scene was entirely manufactured, while still exposing the fishermen to danger at sea. In other words, it was like a studio film without the benefits of shooting in the controlled environment of a sound stage. But the epic quality of Flaherty’s images, the power of the waves crashing against Aran’s cliff faces, could have been captured no other way. 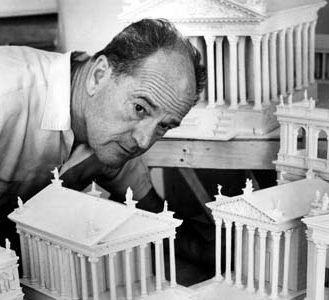 Each film is presented either by a member of the Eastman Museum’s staff, or by a visiting speaker from one of the lending institutions (last year, prints were sourced from the Library of Congress, UCLA, the Academy Film Archive, MoMA, the Finnish Film Archive and the National Film Archive of the Czech Republic). Paolo Cherchi Usai, who founded the Nitrate Picture Show in 2014, announced he would be stepping down as director, though he will continue as the Museum’s senior curator in the Moving Image Department. Deborah Stoiber (collection manager), Jurij Meden (former curator of film exhibition, now head of programming at the Austrian Film Museum) and Jared Case (curator of film exhibition) will be taking over as co-directors in 2019. Seeing the films stored in their cans, labelled and shelved, it becomes clear that these are artefacts. But unlike an ancient sword or piece of pottery which can only be observed behind the protective glass of a museum cabinet, these artefacts are still useable in the manner for which they were intended: projection. The shared experience of seeing these films on screen is a powerful one and I hope the Nitrate Picture Show will continue to grow, encouraging new and continued efforts in the preservation of this important part of our cultural history. Passes for the 2019 Nitrate Picture Show are on sale now and can be purchased here.